In the second round of the DFB-Pokal, FC Bayern play away against SV Rödinghausen who eliminated Dynamo Dresden in the 1st round. Please note: date and time is not yet confirmed. MUTU wrote: Please note: date and time is not yet confirmed. Date and time are now confirmed: it will be held on 30th October. could we just send out our Bayern 2 to play against them ? Bayern 2 is top of the Bayern League, whereas SV Rödinghausen is currently lying on the fifth place of the west league. Actually, I don't think we can. There's some rule about having to field a good team every competitive match. Of course you can play reserves under the excuse that they are more eager or that the starters are tired or that it was a tactical decision, but you can't change the whole team like that. Hey, maybe finally a game where we can score more than three and not concede?! 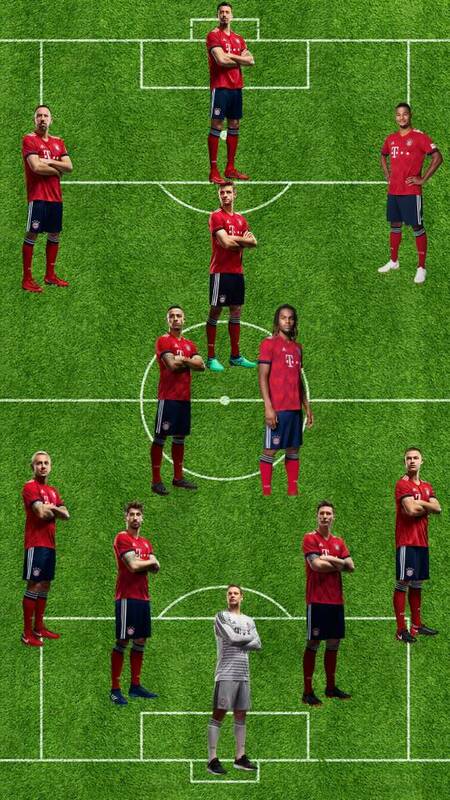 Bench: Fruchtl, Boateng, Sule, robben, Mueller, Lewandowski, James, Gnabry, Martinez.